Hi Everyone, Faces Canada has since quite some time been coming out with an array of innovative makeup under its Ultime Pro Range. I had heard so much about their lip crayons that my heart really wanted to see if the shadow crayons were up the notch! I have always adored eyeshadow crayons for their versatility and ease of use. Plus, one gets to use the pigment in multiple ways- be it an eyeliner, thick winged liner, or eyeshadow. 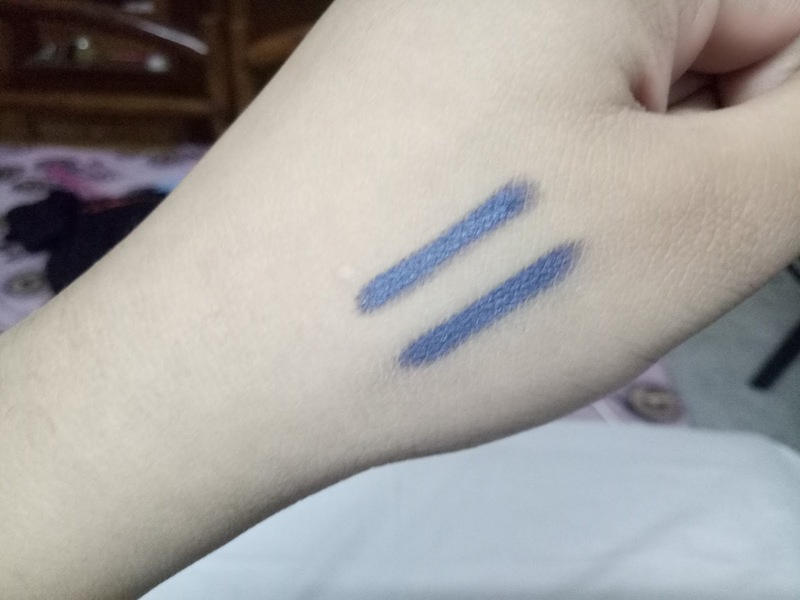 Though the collection by Faces has six multi faceted shades, my heart craved for a deep blue so I chose She's Got The Looks -06 as I didnt own any such have midnight blue eyeliner in my collection. The Faces Ultime Pro Eyeshadow crayons comes in the form of sharpenable chubby pencils fixated in a matte black plastic barrel. Crayons with super soft textures are usually packaged in sharpenable form as the black plastic will clench the product amd keep it secure and tight. The Eyeshadow Crayon is advisably to be bought with the Faces sharpener which sharpens the pencil with minimum wastage. However some amount of product loss is inevitable. The packaging of the pencil is color coded and the tip of the pencil is quite secure within the transparent plastic cap. 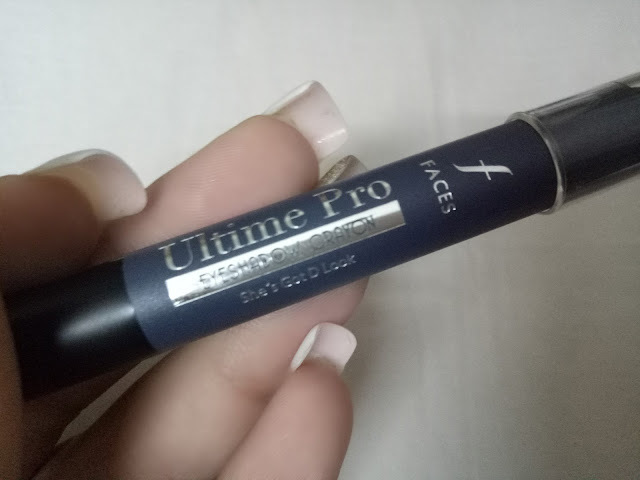 Faces Ultime Pro Eyeshadow Crayons have a super soft and utterly smooth texture. 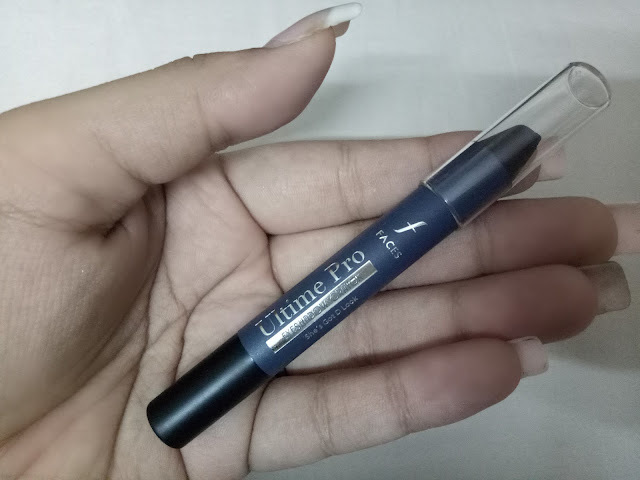 It goes on my eyelids without tugging while giving them intensely pigmented strokes of the prettiest starty blue color. Faces Eyeshadow Crayons gives a decent color pay off in one single stroke. Also the pigments are pretty buildable. 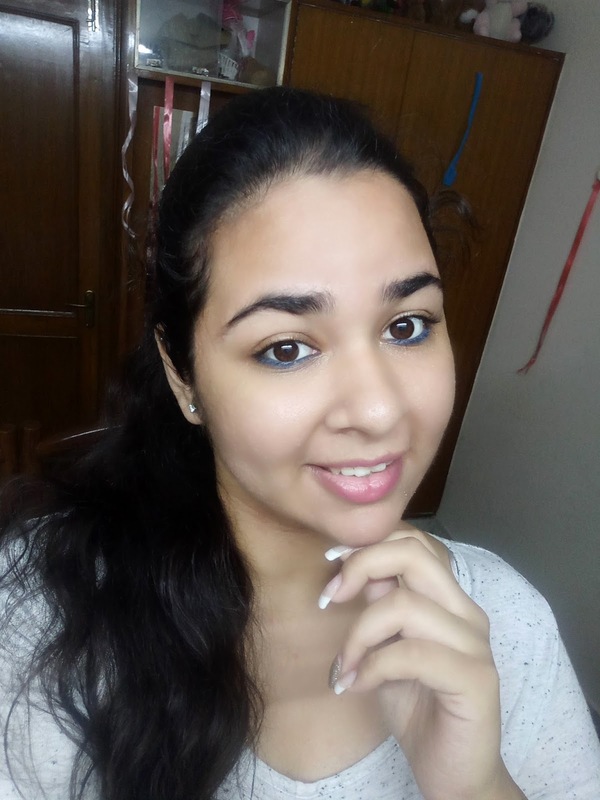 She has got D Looks 06 is la gorgeous midnight blue colour that will compliment brown and hazel eyes the most. The shade has pretty subtle amd rather understated shimmers which are not very visible but definitely do imparts ametallic, or rather a starry sheen to the finish. It performs incredibly great when taking into consideration its claim to be smudge free. It quickly sets into a non transfer finish so if you are planning to smoke out the colour, you need to work really fast with it. 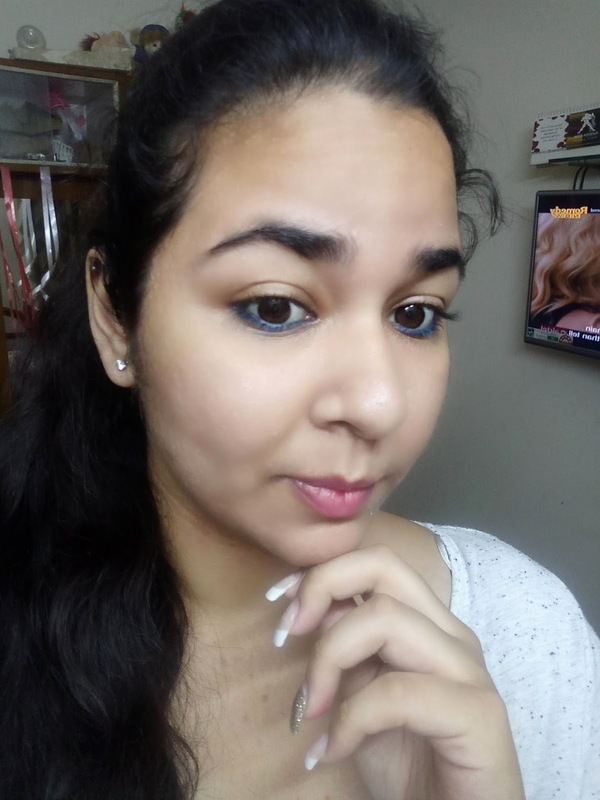 I generally blend it almost immediately after applying for the soft diffused navy blue eye look. And the pro is that It blends out seamlessly without looking patchy. Plus, the shimmers prove no hi drance in smudging the shade out. The colour stayed on my super oily lids for 5+ hours with minimal fading but without creasing or smudging like crazy. It most definitely is water resistant and comes out with super easily with my Cleansing oil.